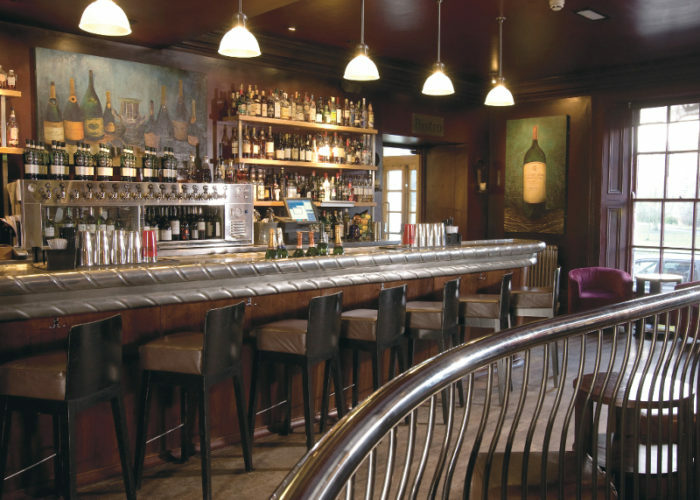 Thank you for your interest in Hotel du Vin & Bistro – Harrogate! 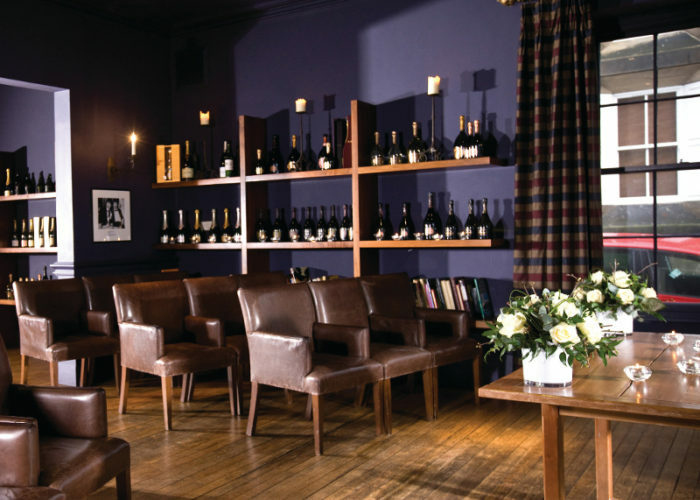 Right in the centre of the beautiful spa town of Harrogate, with its charming streets, cafes and shops, lies Hotel du Vin. 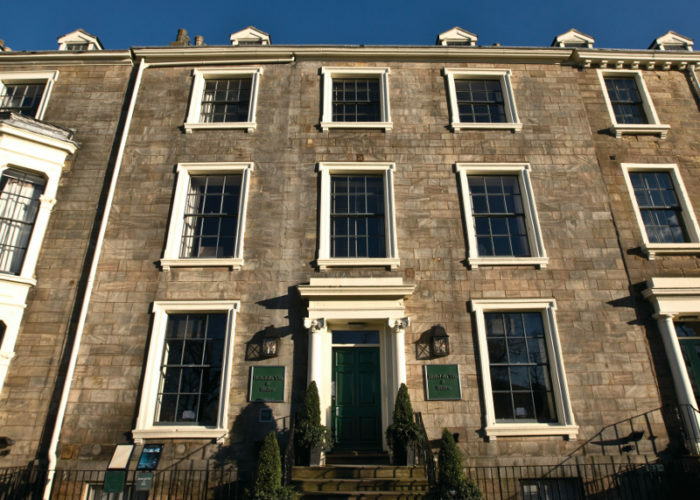 As well as 48 luxurious bedrooms and suites, it offers a relaxing snug, courtyard, bistro, bar and private dining rooms. 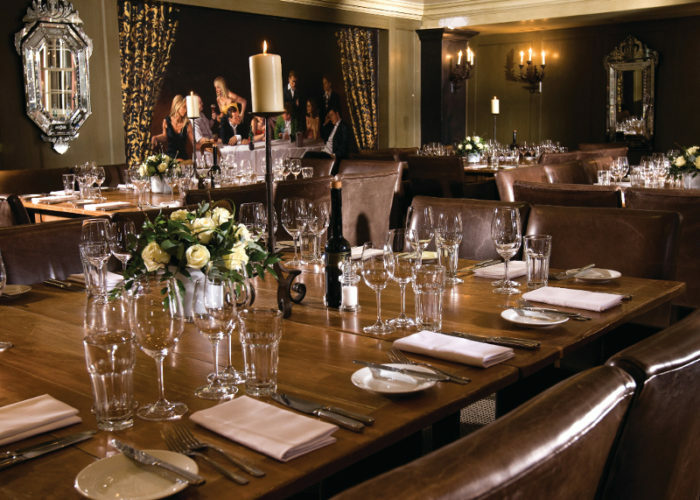 Our largest private dining room is Ruinart, on the ground floor. Seating up to 60 people very comfortably for dinner, this opulent space has magnificent views of the courtyard, bespoke artwork and ornate mirrors – all designed to make a lasting impression on your guests. 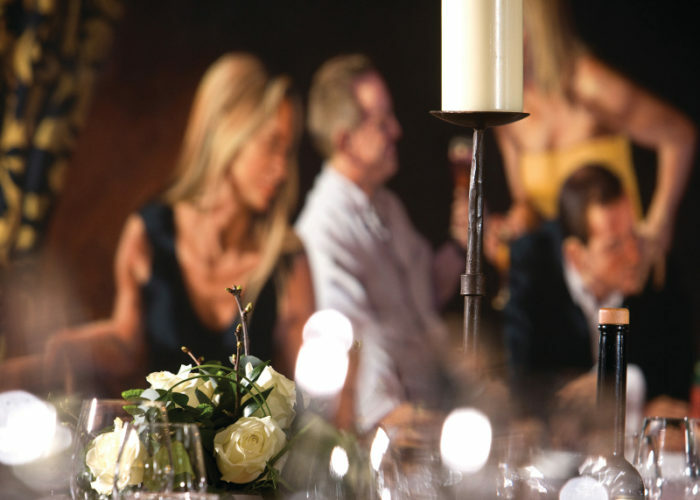 So sit back, relax and let us ensure you enjoy a wonderful event, whatever the occasion. For a more intimate dining experience, Henley Vineyards seats up to 30 guests. In prime position at the front of the hotel, this lovely room overlooks the famous Stray. With its huge comfy sofas, the Cellar Snug is a unique party area for up to 60 guests – perfect for all kinds of gatherings. After the event, your guests can choose to stay in one of 48 timelessly styled bedrooms or stunning suites. All have luxurious handsprung mattresses, fine Egyptian linen, deep baths, powerful drench showers, flat screen TVs and air conditioning.